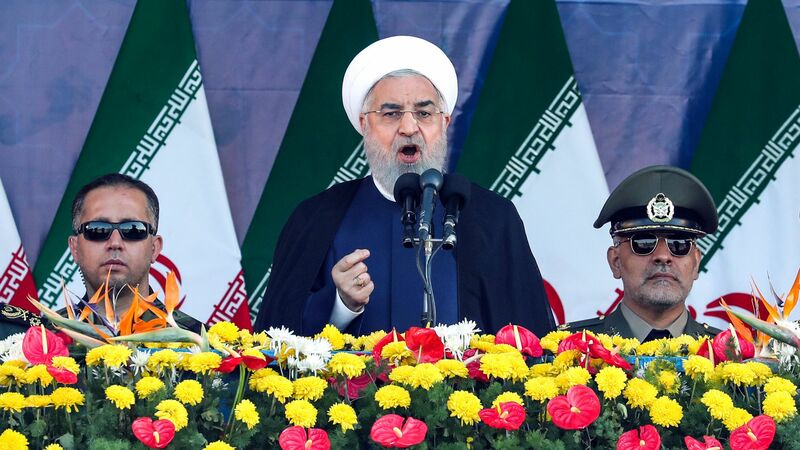 Iranian president says government is "ready to confront America"
Iranian President Hassan Rouhani said Sunday that his "government is ready to confront America" over sanctions stemming from President Trump's withdrawal from the Iran nuclear deal, and that "America will regret choosing the wrong path,” reports Reuters. The big picture: The comments come one day after gunmen opened fire and killed 25 people during a military parade, an attack Rouhani blamed on rebels that receive support from U.S. regional allies. Rouhani will visit New York this week for the annual United Nations General Assembly, where Trump will also be in attendance.